The Republicans really stepped up to the plate even though they are being stonewalled by the corrupt FBI as well as the Demorats !Strzok is such a creep His smug smurk made me sick and the Democrats really showed they only care about their own interest ,not justice ,the rule of law or the interest of the American people!This makes me so mad!! His demon stare is his normal face. Nadler and the rest earn the rat in Democrat. Nadlers not that short he is leaning forward in the seat in a manner that implies to me a very nasty back problem. Carrying a lot of weight on the elbows. If we see a red wave replace the blue wave, I’ve seen that happen here in Australia, expect most of the vocal Democrats in this video retire and some leave the country. They are done and they will know it in November. Please refer to Nadler’s chair height: he’s a shrimp-enstein (with a back problem, perhaps). As for the rest of Dems and how they operate, Mafia thugs show more respect. Unless they can steal many state contests, November is when Karma rains down its furious judgement. I hope they will be done in November. Waters, Pelosi, Schumer, Warner and many others should leave the country cause someone might just get it in their head to get rid of them permanently so they’d never come back. Can’t believe that guy could get on the FBI let alone be at the top of it with his smirking , narcissistic, and thinking he can use abuse of power and get away with it attitude. Will be happy to see when they put the handcuffs on him and he should be charged with treason along with many others. Who is in office is up to the people not him. I have been anxious to see this body language one done. Barbara Hedges — I, too, could not wait for this analysis. It seems that ole boy Rosenstein and this poor excuse for a human have the same level of arrogance and view themselves untouchable. I hope I’m incorrect, but I don’t think anything will happen to either of them except they won’t have visible jobs in the government. The Deep State circles it’s wagons to prevent U.S. taxpayers from finding out how corrupt they really are. I’m still waiting for the Clinton cabal to go down but I fear that will never, ever happen in anybody’s lifetime. They are all going down. The swamp has to be drained first. You take a crook before crooked powers to be to prosecute them and nothing happens. That has been going on for years. It is over. much of the swamp has been drained since Trump got in, news isn’t reporting it. 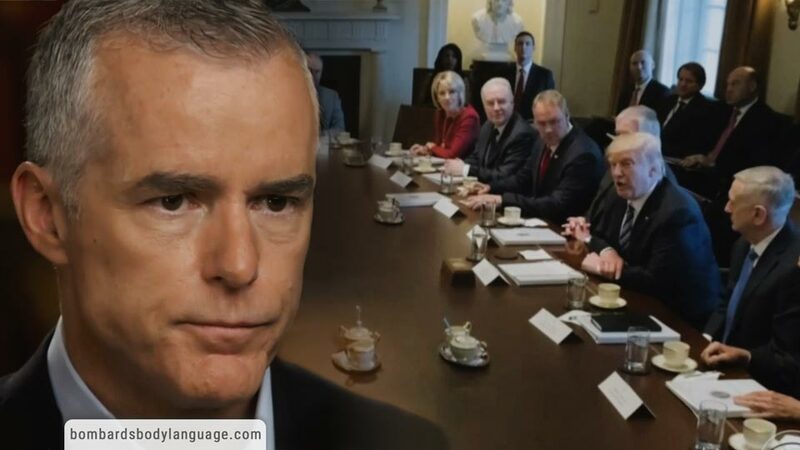 They are going down and they know it. google QANON and read many of the posts. new ones almost daily and you will see what is happening behind the scenes. Brava! Well said and surmised! I too watch and wait for ‘consequences’ to fall on them! With the amount of texts this guy was sending no wonder the FBI was blindsided by Vegas and Pulse. He was too busy texting to do his job and protect the citizens. They (the demoRATS) are merely ‘running-the-clock-out’ out the charges they face. By doing so, they will never be charged. The original 13th amendment to the constitution barred lawyers (see: Esquire, title of nobility) from elected office. Somewhere along the line, that amendment went missing. This article nets it out. They know how they play the game and the good guys are better at it and outsmarts them. I really enjoyed your commentary on the lawyer behind Strzok! I thought you were right on the money! Since watching these videos and doing class I take a lot more interest in those behind! 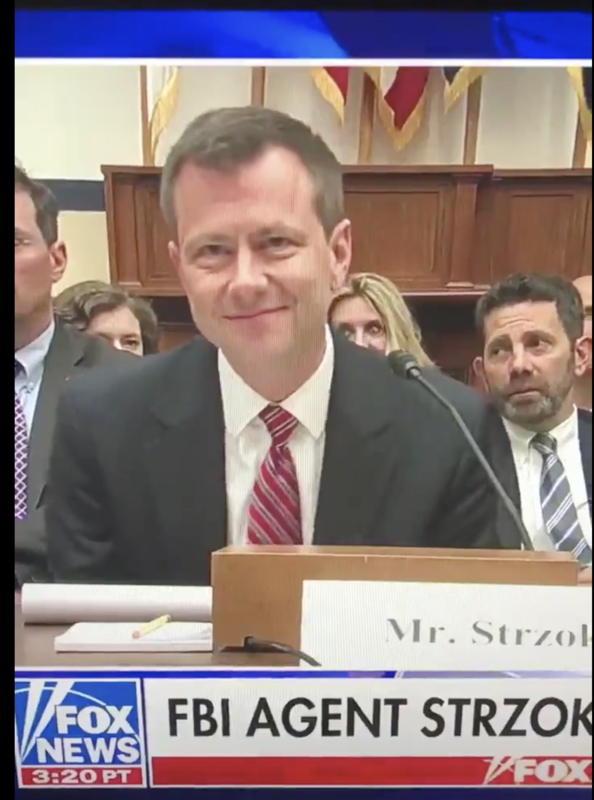 I enjoyed the lawyer during one of Strzok’s “heartfelt” monologues. As Strzok was speaking, the lawyer was mouthing the exact words. It seems the lawyer doesn’t trust Strzok, and is very uncomfortable. The C-SPAN YouTube comment section is pure chaos. All the top comments are people who know, as all sane people should, that Strzok is a smug PoS. Every single comment is filled with responses calling the OPs Russian Bots and Trump sycophants. I defended some people in the comments, and one of the responders went to my personal upload and commented “This channel is a front for Russian propaganda pro-Trump shillery,” and within minutes, it had 5 likes on the comment. The video they commented on was from YEARS ago. It’s so obvious Brock’s trolls are out in full-force doing damage control in comment sections, it’s absurd. You do absolutely fantastic work. There is one mistake in the video and that is that the lawyer whom you have identified as an FBI Lawyer is actually Aitan Goelman, who is Strzok’s lawyer. The FBI Lawyers are sitting to his left and the thug sitting over Strzok’s right shoulder may be some sort of bodyguard, since he was replaced later in the day by another giant thug. Also, later in the hearing, he actually does consult with the three FBI Lawyers, one of which is the large black lady that is sitting to Goelman’s left. Thank you so much! You have given us all an anchor to the reality that we know to be true, while these psychopaths keep wasting our time gaslighting. Patience is a virtue, and your truth telling has made it easier for us to keep heart, while keeping their feet to the fire. I hope you do one more on this guy showing expressions that for all the world, make him appear demonically possessed. That hearing was so much FUN! I knew you couldn’t pass up oding an analysis of this Trzonk certainly did a ton of chair dancing , did he not?? Enjoyable on your part and frustrating like driving on ice on the issues getting resolved. Right now Strzok is PROUD of all the harm he caused the Nation. He feels smugly satisfied that he set out to cause harm and havoc and sees his evil power as a strength of his achievement. What you saw in the Gohmert exchange showed a crack in his false armor. He is beginning to FEEL the potential for his Jail time even though he mentally convinces himself that he is a Hero of Harm to USA. He is staying in FBI because it gives him a sense of “righteous” cause as one of the “good guys” who “fought” the Prez. Just like the Demwit Congress guy that wants him to get a Medal of Honor for helping to destroy America who falsely bolsters that image. If Strzok ever sees himself clearly he will end up locked in the padded psych isolation ward screaming and throwing his feces on the walls. 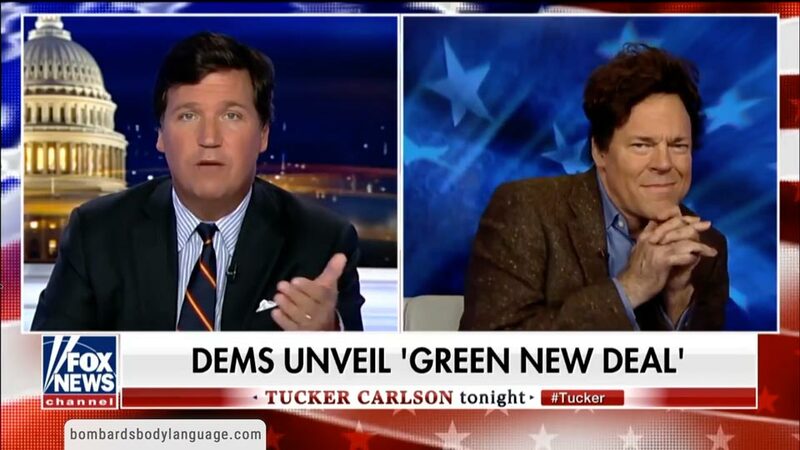 Have seen that look in his eyes before in just such a psych ward. Someone also remarked that the area to which he was transferred is the area where all records are kept, so he may have work to do there. Thank you so much for getting this oit quickly! It’s a long hearing and tough to watch the whole thing. 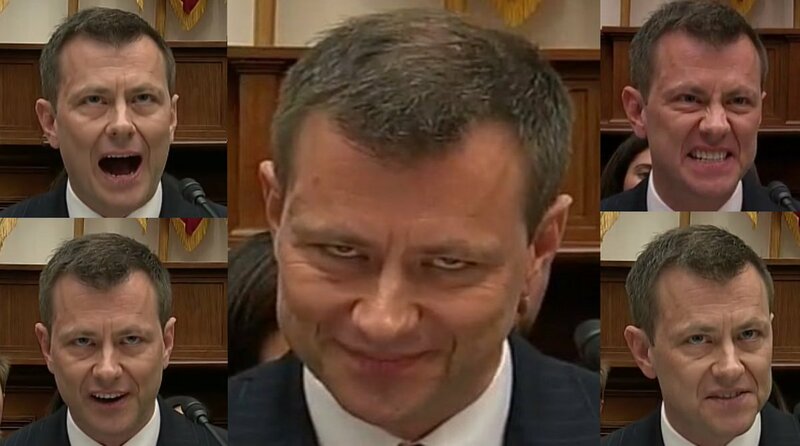 There was one point (trying to find the time stamp), where Strzok did his little wiggle and turned back to face the congress with his “sanpaku” psycho look. Ugh! I suddenly have an overwhelming urge to take a shower and I’m afraid Norman Bates is going to walk in on me.